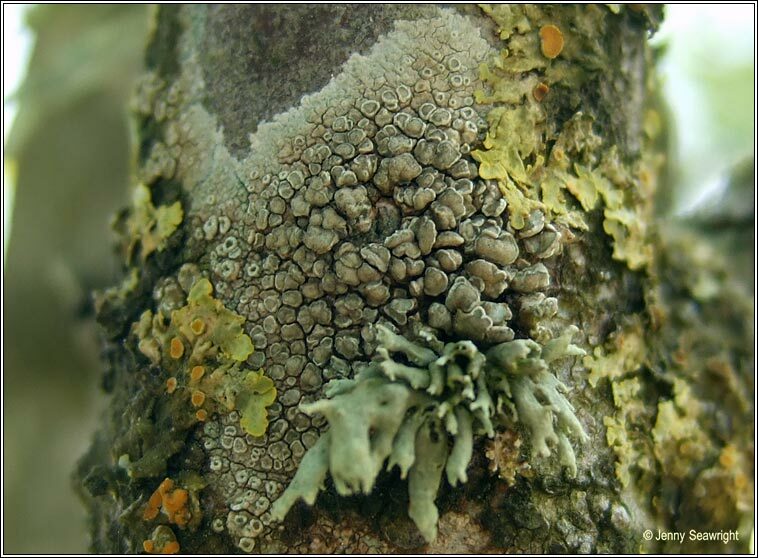 Growth type crustose. Identification uncertain, needs confirming. Photos: On tree trunk. Aughinish, Co. Limerick, Ireland. 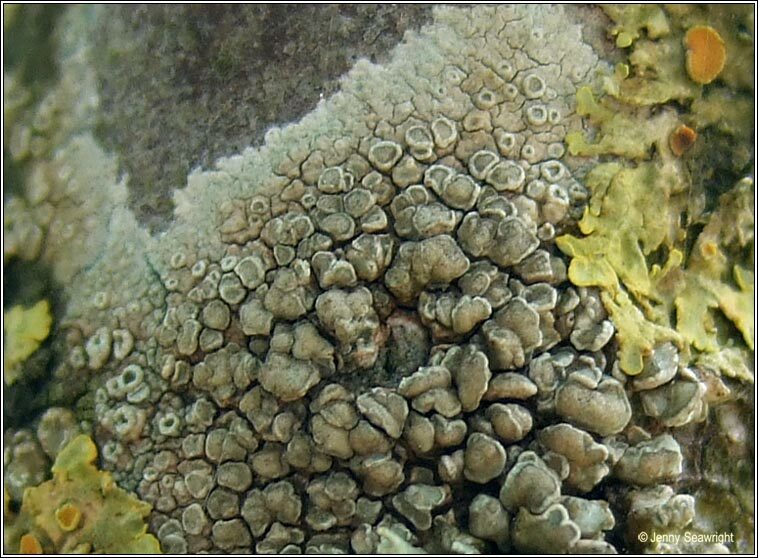 Yellow-grey to greenish, granular or granular-areolate thallus with +/- abundant apothecia. Discs pale yellow-green, sometimes pinkish-brown. 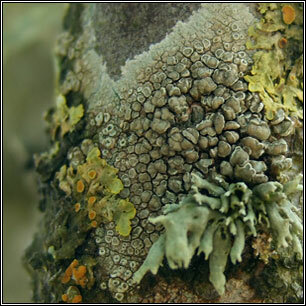 The margins are paler than the thallus, initially crenulate, rarely becoming excluded.